Who are we? We are a Bay Village based custom design and stone installation company for indoor and outdoor projects. From fireplaces to house fronts to pizza ovens, we can collaborate with you to bring your dream project a reality. We also provide masonry repair services and tuckpointing. We opened our doors in 2005 and are proudly celebrating our 10th Anniversary! In 2001, Casa Bella Carpentry was started in a little 2 car garage in Lyndhurst, Ohio. Two moves, hundreds of saw blades and a small name change later, Casa Bella Design Co. now proudly operates from our workshop in Solon, Ohio. 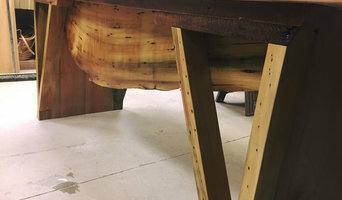 Owner Chris Lentine, and his right hand man Dan Housholder are passionate about designing and building furniture and fine cabinetry using tried and true methods that have stood the test of time. Specializing in custom deign and contracting, Casa Bella Design Co is devoted to building your dream. We are a full-service local and long distance moving company based in Northeast Ohio. Our #1 goal is comprehensive customer satisfaction. With smiles on our faces, we perform every task required to get you from point A to point B. From packing up your junk drawer or custom crating your chandelier to disassembling and safely moving your grand piano, we have you covered. Our movers are professionally trained to complete your move seamlessly. Our moving professionals are experienced, proficient, and BRIGHT EYED! Founded in 1958, AKRON GLASS TINTING is an authorized 3M Window Film Dealer and part of the exclusive Prestige Dealer Network. Our simple beginnings as a “Ma & Pop” business began with my mom, Linda, answering phones at the kitchen table over coffee and paperwork, and my dad, Gene, selling and installing the film. As teens, my brother, Dan and myself began helping with the installations as well. Our motto is “100% satisfaction”. It doesn't matter if it's one bathroom window or an entire office building, ensuring that our customers are 100% satisfied has been in our DNA from the beginning. Almost 60 years later, AKRON GLASS TINTING is a regional leader in the window film industry, all due to our 100% satisfaction philosophy. 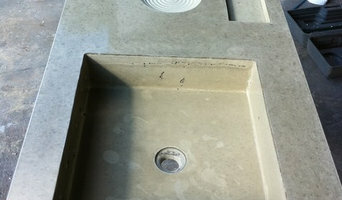 At Ideal Surface we design and build using concrete as our medium casting one-of-a-kind pieces of functional art. All Points Inspection offers professional home inspections, radon testing and well water analysis in the northeast Ohio area. The amount of things that we can are virtually limitless. Projects from elegant and authentic, to modern and organic. 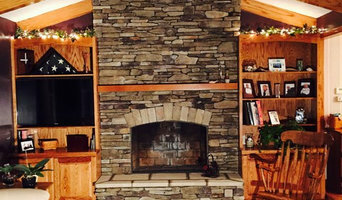 We specialize in Venetian Plaster, Arcusstone Stone, Stucco, and Custom Fireplaces. Our lime and marble based products can be used in place of paint, wallpaper and almost anything else. It can be applied in any sheen, texture or color on interiors and exteriors. Our products are often referred to as lime plaster, lime stucco, marmorino, grassello or Venetian plaster. Let your projects reach full potential. Enjoy your space. Enjoy our plasters. It’s the same material used on buildings for thousands of years. We want to make your home or office design beautiful, healthy and enjoyable. Your walls should be covered in a natural mineral instead of a synthetic plastic. We want your projects to be elegant and timeless, whether your style is traditional, contemporary and anything in between. We make it easy and affordable to have the real thing on your surfaces. Design your space to the fullest! Plaster It! Love It! Welcome to SplashScapes. We are a Northeast Ohio-based business serving the Midwest and East Coast of The United States. Here you will find what you need to take your outdoor living to the next level with stunning splash pad and spray parks installations and innovative safety surface solutions for your home, community parks, preschools, and daycares. Building and Designing Custom Greenhouses, Conservatories, Sunrooms & Solar Structures. We assist homeowners, businesses and contractors with everything from permits to completion and beyond, for the best horticultural experience possible. You can trust Florian's 75 years of engineering for the most energy-efficient and best quality greenhouses & solar products in the industry. Grace Exterminating is the Youngstown, Ohio area's best choice for pest control services. We meet your pest control needs, exceed your customer service expectations, all while providing professional pest services at an affordable price. Whether you’re looking for a team of Cleveland, OH professionals or a handyman for a small renovation, you’ll find dozens of professional profiles and contact information for specialty contractors here on Houzz. Here are some related professionals and vendors to complement the work of specialty contractors: General Contractors, Landscape Contractors, Architects & Building Designers, Interior Designers & Decorators, Kitchen & Bath Designers. Let’s say you want to install custom wood flooring in your dining room, and you’ve found a Cleveland, OH company with excellent reviews. Next you’ll want to contact the company and make some inquiries. Find specialty contractors on Houzz. Look in the Professionals section of our website under Cleveland, OH specialty contractors, then select the nearest metro area for a contractor. 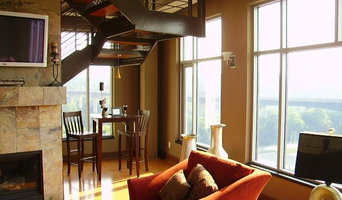 You can also look through Ohio photos of completed projects to see how a contractor might approach design challenges.